Like many of you, I will be travelling for Thanksgiving to be together with family and friends, so I am posting my blog a bit earlier than normal this week. As I concluded last week, those of us participating in the Congress for the Congregation for the Clergy had just had our meeting with the Holy Father. And, as we prepared to return to Boston, there were already signs in Rome that the season of Advent is nearly upon us. 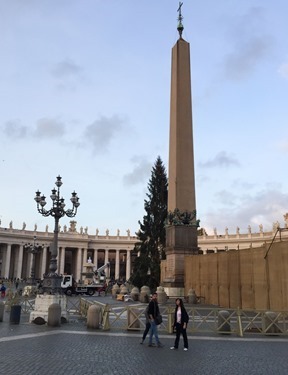 They had just installed the Vatican Christmas tree in St. Peter’s Square. 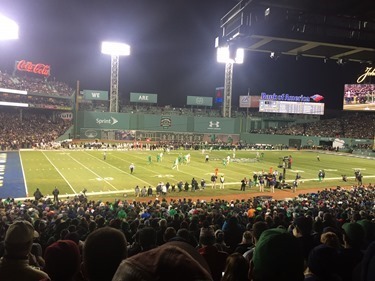 By Saturday I was back in Boston and of course, that evening was the Boston College – Notre Dame football game at Fenway Park. 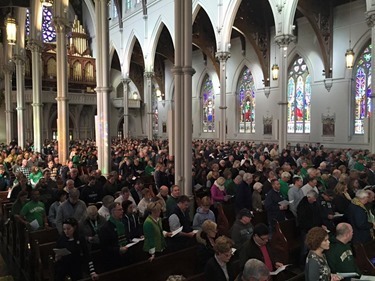 So, earlier in the day, we were very happy to welcome the many students, alumni and fans who were in town to the Cathedral the Holy Cross for Mass. 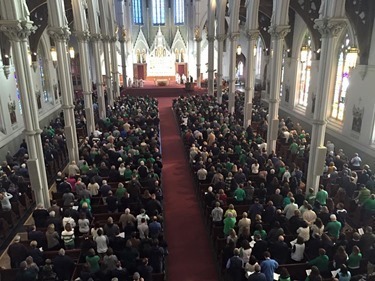 Father Jenkins, the president of Notre Dame, celebrated the Mass for them. Sunday, the Feast of Christ the King, I celebrated Mass the Cathedral, and then set out for Costa Rica as part of a group of the Pontifical Commission for the Protection of Minors that was asked to address the bishops of the six episcopal conferences of Central America, called SEDAC, who were holding their annual gathering. 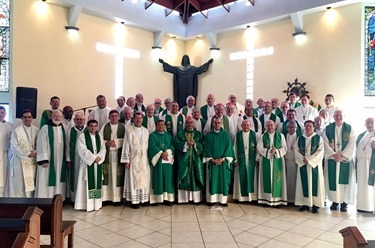 There were 42 bishops from the six countries present, and among them was my classmate, Bishop Pablo Schmitz of Bluefields, Nicaragua as well as two cardinals, Cardinal Leopoldo Brenes Solorzano of Managua and Cardinal Jose Luis Lacunza of Panama. 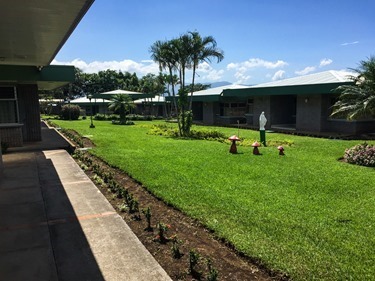 We gathered in a Salesian retreat house called Casa San Benito in the town of San Juan de Santa Barbara de Heredia, which is not far from the capital of Costa Rica, San José. As you know, the Holy Father has asked that every bishops conference establish clear policies and protocols on the issue of child protection, and the bishops were very eager to have a us advise them on this. I was joined by Msgr. Robert Oliver and Father Juan Molina, director for the Church in Latin America of the USCCB. Bishop-elect Luis Manuel Ali Herrera was unable to be with us because of problems with his visa. Bishop-elect Ali was recently named auxiliary Bishop of Bogotá and serves on the child protection commission. 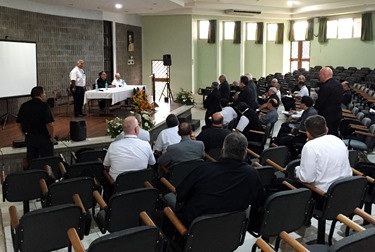 In our meetings we spoke about the need for educational programs, the importance of cooperating with civil authorities and reporting crimes of clergy sexual abuse, as well as the importance of pastoral care for victims and those accused. We also spent a great deal of time addressing the importance of prevention, including screening procedures and the need for human formation the seminaries. 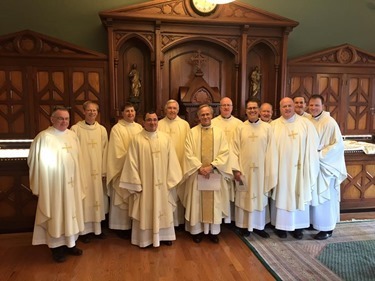 The bishops were very receptive to what we had to say and, as you might expect, they had many questions, which we tried to answer to the best of our abilities. 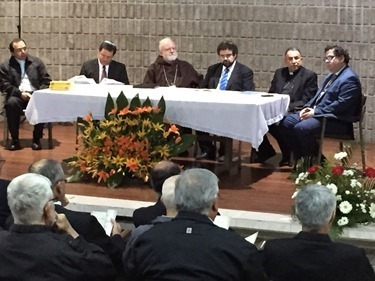 Members of the Pontifical Commission have addressed other bishops’ conferences, but I was very happy to be able to attend this one and to be part of this very important work. 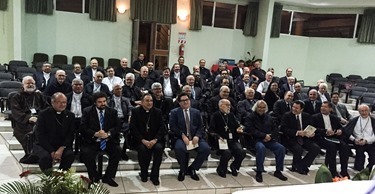 I see this task of helping bishops conferences develop strong policies and to implement them well as one of the most important functions of the Pontifical Commission for the Protection of Minors. For me it was also a joy to be back in Central America. 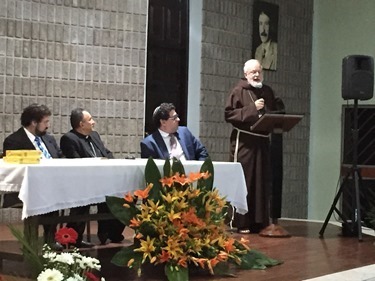 I have not been there for many years but, as you know, I have many strong ties to Central America: for 20 years I worked with immigrants from that part of the world, I was visitator for the seminaries in Guatemala and I knew Msgr. Oscar Romero and Bishop Juan Gerardi, who was also martyred because of his defense of human rights. So, in a sense, it was also a spiritual pilgrimage for me to be there. In addition to our child protection talks, there were also several significant events that took place during the bishops’ gathering. 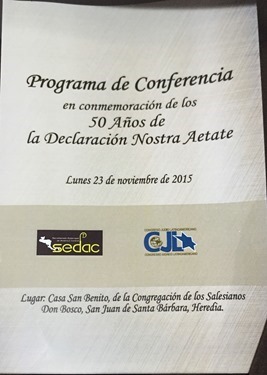 For example, on Monday evening there was a celebration of the 50th anniversary of Nostre Aetate with the delegation from the Jewish community and the bishops of SEDAC. 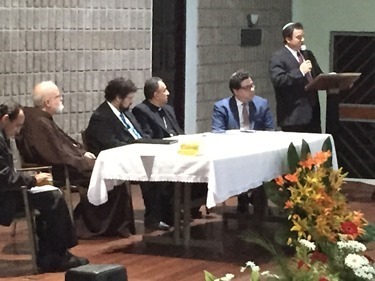 I was asked to address the group, along with some of the rabbis and bishops. Afterwards we had a dinner with the rabbis. A number of them were from Argentina and knew the Holy Father very well. 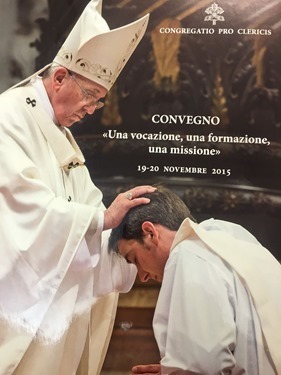 One of them, in fact, was from Córdoba, where Pope Francis had been stationed for a time. It was a wonderful celebration and I was happy to be able to mark this very important milestone in Jewish-Catholic relations. 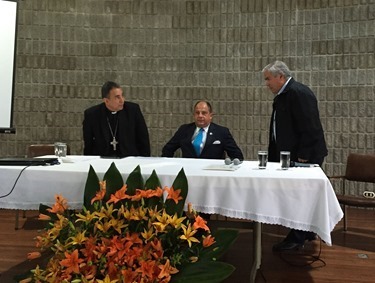 On Tuesday, we were visited by the president of Costa Rica, Luis Guillermo Solis, who came to speak to the bishops about the situation of the Cuban refugees who are passing through Costa Rica. Because they fear changes in U.S.-Cuba relations will cause them to lose their preferential immigration status, many hundreds of Cubans have been coming to Latin America with the hope of making their way to the United States. However, Nicaragua has refused to allow them passage, causing them to be stranded in Costa Rica, and more than 100 more are arriving each day. It is quite a crisis. 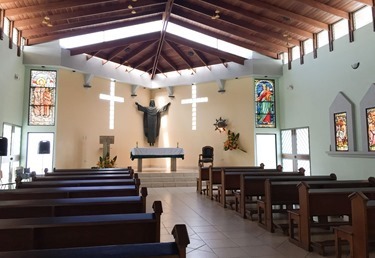 And, I wanted to share with you that at breakfast Wednesday morning Bishop Gonzalo De Villa y Vásquez of Sololá, Guatemala told me that his residence was actually built by Cardinal Cushing. I told him that I always say that I could spend my whole life going around celebrating the anniversaries of all the wonderful institutions that Cardinal Cushing played a role in founding, but this was one we didn’t even know about! This week also I want to bring to your attention a petition sponsored the group Global Catholic Climate Movement. The Franciscan Friars in Boston brought this important initiative to my attention and asked me to sign on, which I did. A number of cardinals around the world have signed this petition in anticipation of the upcoming meeting in Paris on climate change. 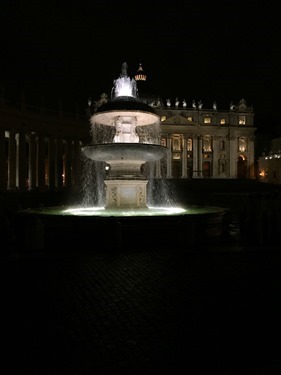 It calls on world leaders to heed the words of Pope Francis in Laudato Si’ to “care for our common home” and protect the most poor and vulnerable among us. As we prepare to celebrate Thanksgiving, we call to mind the many blessings God has bestowed upon us and our country. At this time we are also mindful that for many people in our communities, providing for the basic needs of food and shelter can be a great challenge. 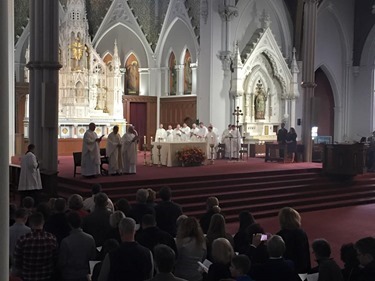 It is good to know that Catholic Charities, our parishes, St. Francis House, the Pine Street Inn and other charitable organizations work so effectively to respond to these needs. May we enjoy our time with family and friends during the coming days and continue to show our appreciation for our blessings by extending care and concern to the less fortunate.